An RFID Tag can be attached on a wide range of surfaces including wood, plastic, metal, glass, fabric. The mounting surface also affect on the read range, performance and cost of a tag. The on-metal tags are especially designed to provide high performance on metal surfaces, and they are typical more expensive than other RFID tags. Water and other liquids also impact on the read range when they exist in close proximity of readers and tags. Whenever, you select a tag always ensure that that tag tested and certified for proper functioning for corresponding application. 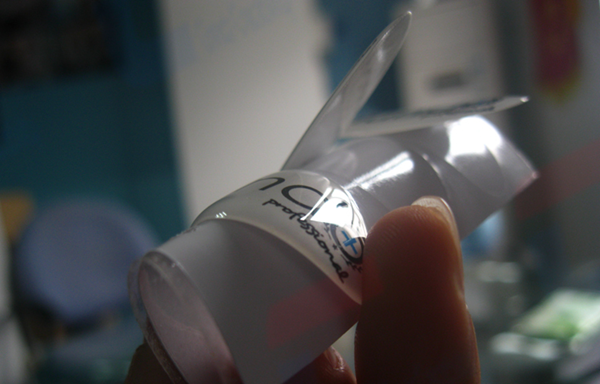 Adhesives – Many tags are designed to be used with commonly available adhesives. There are numerous types of adhesives available to bind virtually any materials and fix safely under a wide range of climate conditions. Welding – Some tags are designed to be welded to metal drums, vessels, tools or machines.